The Asian Private Banker Technology Awards are awarded to the tech industry’s most innovative and practical companies. The Technology Awards Luncheon and Champagne Reception will be held in February 2017 and celebrates the end of another challenging and rewarding year of private banking innovation and technological change by those leading the effort to transform private banking and wealth management in Asia. Temenos Group AG is a company specialising in software for financial services, with its headquarters in Geneva, Switzerland. The group was initially created 1993, and has been listed on the Swiss Stock exchange since 2001. Synpulse is an established, globally active management consulting company and a valued partner to renowned international financial services companies. Since its formation in 1996, Synpulse has offered its clients excellent solutions, enabling them to generate high added value. Call Levels is a simple, independent and reliable tool to track your financial assets. The automatic notification feature frees you from the time-consuming market analysis tasks and allows you to focus on your everyday life. Mesitis empowers individual investors and their advisors with account aggregation and visualization across asset classes and banks. Their proprietary software Canopy accepts trading information and bank statements in any electronic format and generates consolidated, relevant analysis that helps investors make sense of and act on their financial portfolio. 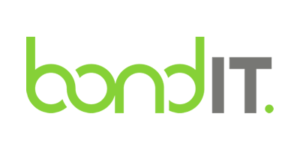 BondIT empowers fixed income investment managers with data-driven portfolio construction, optimization, re-balance, analysis and monitoring capabilities. The SaaS platform and easy- to-use interface makes the solution highly accessible. Prive Financial Limited is an innovative financial technology start-up located in Hong Kong. Prive Financial provides a online platform (www.privemanagers.com) that provides a comprehensive set of wealth management, asset allocation, and product structuring tools. The platform integrates these three core functions by being able to automatically generate and execute securities across global markets on multiple asset classes. Thomson Reuters is a multinational mass media and information firm with operational headquarters at 3 Times Square in Manhattan, New York City. The firm was founded in Toronto, Ontario, Canada, and its legal domicile offices are located at 333 Bay Street in Downtown Toronto. Thomson Reuters shares maintain a dual listing on the New York Stock Exchange (NYSE: TRI) and the Toronto Stock Exchange (TSX: TRI). Expersoft provides leading-edge software solutions and services for wealth management and retail banks, asset management companies, family offices, and other financial service providers. Expersoft’s PM1 product provides its customers and users with an unrivaled and constantly expanding depth of capabilities to analyze, strategize, implement, and control investments in one modular, integrated, and intuitive environment. 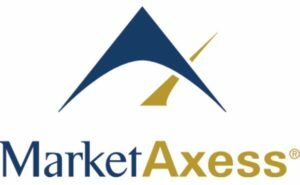 MarketAxessoperates an electronic trading platform that enables fixed-income market participants to efficiently trade corporate bonds and other types of fixed-income instruments using MarketAxess’ patented trading technology. Over 1,100 institutional investor and broker-dealer firms are active users of the MarketAxess trading platform, accessing global liquidity in U.S. high-grade corporate bonds, emerging markets and high-yield bonds, leveraged loans, European bonds, U.S. agency bonds, municipal bonds, credit default swaps and other fixed-income securities. Morningstar is a provider of independent investment research in North America, Europe, Australia, and Asia. The company offers an extensive line of products and services for individual investors, financial advisors, asset managers, and retirement plan providers and sponsors. Morningstar provides data on approximately 530,000 investment offerings, including stocks, mutual funds, and similar vehicles, along with real-time global market data on nearly 18 million equities, indexes, futures, options, commodities, and precious metals, in addition to foreign exchange and Treasury markets. 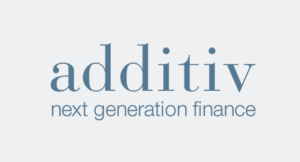 additiv provides tailored solutions for banking, asset management, insurance and consumer finance companies. With offices in Switzerland and Singapore, we serve clients ranging from the world’s largest banks and asset managers to state banks and smaller financial players. NICE Actimize provides real-time, cross-channel fraud prevention, anti-money laundering detection, and trading surveillance solutions that address such concerns as payment fraud, cyber crime, sanctions monitoring, market abuse, customer due diligence and insider trading.